I decided to keep this one quite simple today, and play with some new toys products. 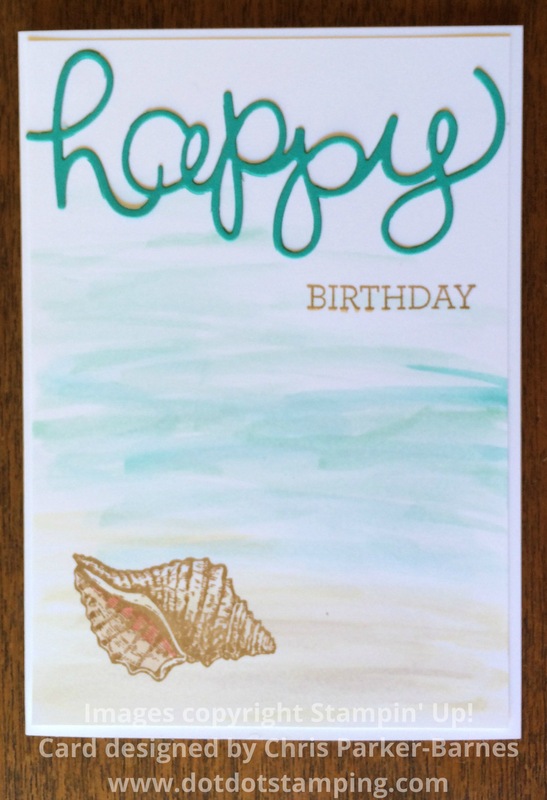 I have used ink with an Aqua Brush and gone very quickly over the white cardstock to give a nice washy watercolour look for the background, and then stamped the lovely shell from By The Tide stamp set. 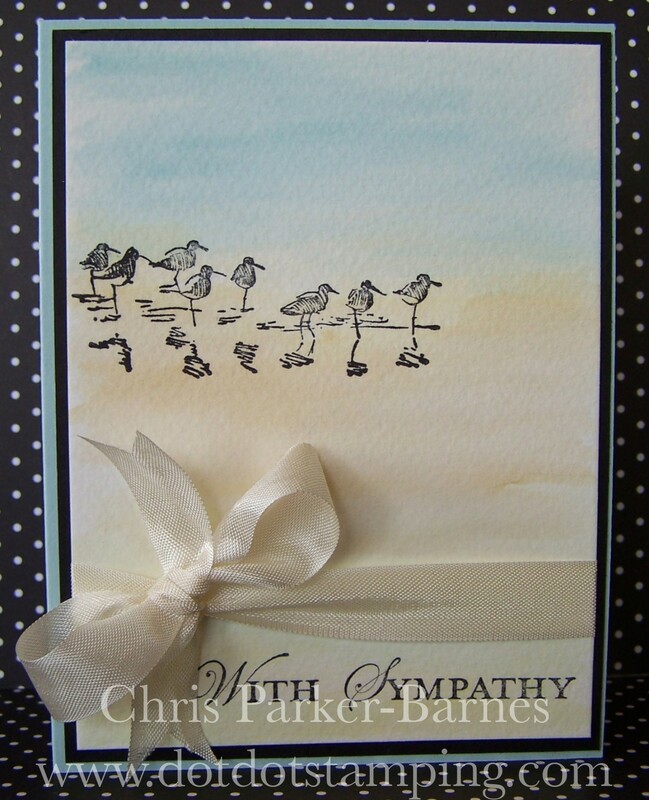 The sentiment is made using a bundle currently available in the Stampin’ Up! Occasions Catalogue – the “Happy” from the Hello You Thinlits and the stamped “Birthday” from the Crazy About You stamp set. It’s never easy having to come up with a quick Sympathy card, so I went looking for inspiration on Pinterest…. lots of inspiration on Pinterest for all sorts of things! I liked the idea of the watercoloured background and the simplicity of the card, but as usual I have made my own modifications. I have used a sheet of watercolour paper and the Aqua painter to colour the background over the stamped image from the Wetlands stamp set, which was stamped, along with the greeting, in black Stazon ink. Pretty simple really, just use lots of water, and keep on adding ink and blending until you are happy.